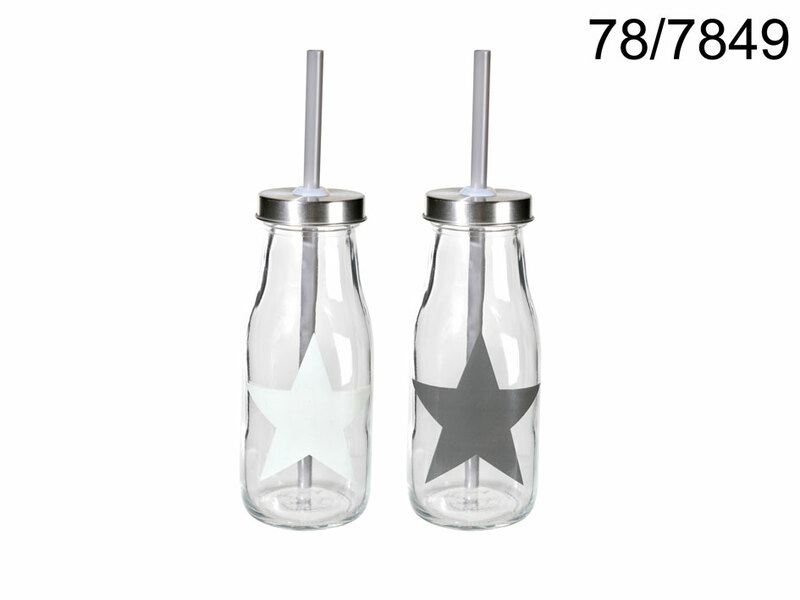 Clear glass bottle with metal screw top lid and a matching plastic straw looking like old style milk bottle. Stylish star theme. Owing to the lid your drinks are safe from spilling. Perfect for outdoor picnics and barbeques - the lid also protects the beverages from pesky insects. Lovely vintage style drinking bottles. Capacity: around 350 ml. Size: 15,5 x 6 x 6 cm. Weight: 0.224 kg.